My sales director would like to be informed any time something happens on a certain account: change in contacts, new appointments, new oppportunities etc. I set up a workflow with email alerts for this but this procedure is unfortunately not possible at the moment for tasks and events. It would make our life far mch easier if it would be possible to select "Email" as workflow action when the objet is an event or a task. Dropping a quick note here to let everyone know this is currently scheduled to be included with the Spring '16 release. 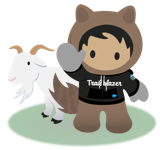 For timing on when the release will hit your org, please check out trust.salesforce.com. Ashish - I had the same issue. I sumbitted a ticket to Support and hope they will escalate to known issue. While the feature is now available in Spring'16. We are getting following error "
", while deploying code from Dev to PRD. Double-checked the salesforce version is Spring 16 in dev and prd. Looks like a bug while using changesets. Jennifer, we're on the NA17 instance. Was this included with the Spring '16 release? I can't seem to find it. @Jennifer Sacks thanks for the update. SImple email reminders when a task due date is approaching would be amazing. Interesting that it isn't already easily achieveable! When is this fuctionality coming out? This would simplify processes for our clients. I'm glad it's on the road map. I would love the ability to have email alers sent to the direct supervisor once tasks status have been changed to increase accountability and oversignt. We so need this! I just want to send an email alert when someone is assigned a calendar event - I can't believe we don't have the ability to do this!